COMMENTS: The texture is creamy and light. I love the non greasy feel after I made it with Honey and Shea essential oil blend. It retained its fragrance all day! Love that it's paraben free. COMMENTS: This lotion is the best base than purchasing out of the store. I will continue to purchase this for my lotion projects because it is so creamy non greasy and it keeps your moisturized all day. COMMENTS: I wanted a fast way to provide high quality lotions to my customers. And this one was a big hit! I have had a couple of my customers tell me they love the product and want more! It is super easy to customize as well! Simply heat and stir in your fragrance or colors. I will be reordering soon! COMMENTS: Sold out during 1st week. My customers cant get enough of this product. COMMENTS: This is my favorite! Takes fragrances well and easy to pour into lotion tubes. Makes skin soft and non-greasy. "Not as Good as Original"
COMMENTS: I am a long time user of the original formula and have been very happy with it. When using the lotion straight from the container, I noticed it was greasier than the original. It did NOT take the fragrance well and a lot of separation occurred. After packaging, I let it sit for a few days. When I opened the container, the top was hard and pasty, like a deodorant bar. I removed this, and the bottom was oily. Will not use again. COMMENTS: I love this base and so do my customers. It is rich and creamy but not greasy. I would recommend this product. COMMENTS: I'll admit, when I first opened the jar and tried a little lotion, I wasn't that impressed. It was a little hard/thick and not very creamy. It was okay but I was expecting something softer and silkier, I suppose. I then heated up half the jar, added a fragrance, and poured into bottles. I'm not sure if it's the heating process, or if the fragrance I used thinned out the lotion, but I just tried some and had to immediately come write a review. I love it! It was easy to dispense from my flip-top bottle and absorbed quickly into my skin without leaving it greasy. My hands are so soft! Only a very little bit of lotion is needed for a great result. I'll definitely be purchasing this again. • Left my hands so soft! "Goat milk & honey lotion - paraben free"
COMMENTS: Awesome lotions, it leaves skin smooth and soft!! "PARABEN FREE THE WAY TO BE"
COMMENTS: i bought a small Jar to see if it was as good as the other one. i like it a lot and I'm probably going to switch over to this base since so many people request paraben free products. its a tiny bit thinner and a little greasier. but not in a bad way. i still really liked it! COMMENTS: thick, rich, soaks in and is never greasy. a customer fav! COMMENTS: LOVE IT!! My customers can not get enough of this lotion!! I love the feel and I added the goat milk and honey fragrance and its the BEST!! "Not as pleased as I thought I would be"
"Goat milk and honey lotion "
"Labeling question: I am new to selling lotions. I understand that I need to include all the ingredients on the back label, and that I am permitted to use WSP description on the label, but what about warnings? Do I say "avoid eye contact", and then include the warnings that are on section 4 of the SDS sheet? Thank you. " Staff Answer You do not need to list the warnings from the SDS sheet. A typical warning for lotion might be: "For External Use Only. If Irritation Occurs Stop Use. May Make Surfaces Slippery." "What is the best color to use in this lotion? Liquid or powder?" Staff Answer We recommend the Stained Glass liquid colors for lotions. "Some may consider Ceteareth 20 harmful. Can I increase the amount of Cetearyl alcohol instead of using Ceteareth 20?" Staff Answer We do not quite understand the question. This is a ready-made base. If you are trying to make this from scratch, you would need to test substituting any of the ingredients. "If this lotion is paraben free, then what do you use as a preservative and is it toxic ?" Staff Answer This lotion has a preservative in it. Not all preservatives contain parabens and the preservatives used in this lotion are safe for use on the skin. 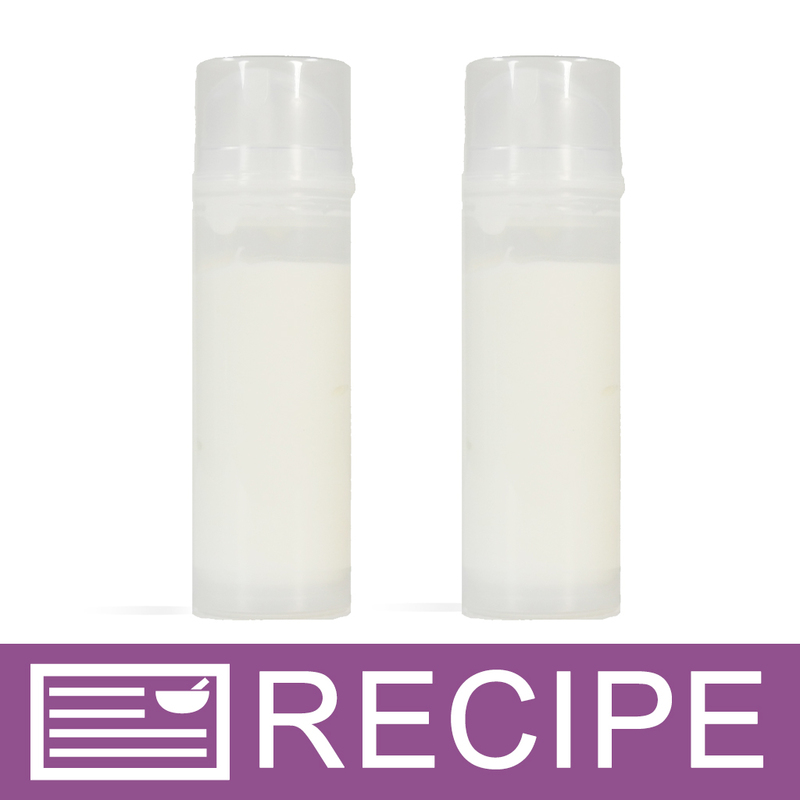 "(from one of my customers) What does goat milk extract stand for? Is that not actual goat milk? They are so many ingredients in your lotion list that I'm afraid they are not harmful. Can you explain the need to add that many?" Staff Answer The goat milk extract is goat milk powder. We can assure you our lotions are very safe to use. The ingredients include emulsifiers, oils, butters, preservatives - all necessary for making a lotion. "Can I add up to 5% of other products (oils/butters) to this lotion?" Staff Answer Yes you can. Any more than 5% will need an additional preservative and also may break the emulsion. "What percent of the ingredients are natural? " 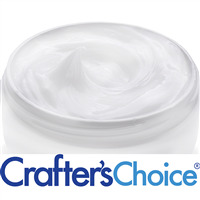 Staff Answer This lotion contains 97% naturally derived ingredients. "Does this contain mineral oil?" Staff Answer This lotion does not contain mineral oil. "Is there petroleum in this product?" Staff Answer This lotion does not contain petroleum. "Do you offer any kits that offer a paraben free base? Would like to try before investing in larger quantity?" Staff Answer At this time, this product is not included in a kit. You can purchase the 16 oz. size to try out. "This listing does not display the ingredients. Would you please give me the INCI ingredients. Thank you." Staff Answer We will get this information placed on the website as soon as possible. Thank you.